Product prices and availability are accurate as of 2019-04-19 06:36:19 EDT and are subject to change. Any price and availability information displayed on http://www.amazon.com/ at the time of purchase will apply to the purchase of this product. Designed to securely attach to the trigger guard of GLOCK. 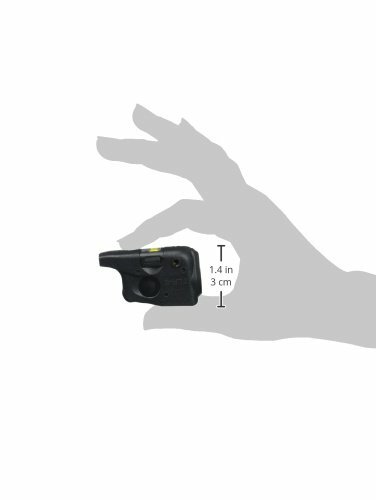 Using this light/laser combination on subcompact handguns allows for easier identification of potential threats before taking action. 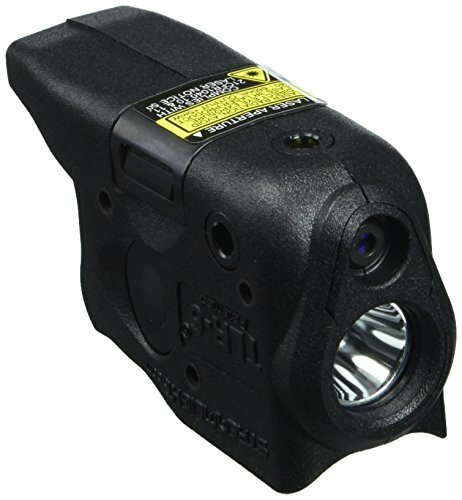 The TLR-6 Universal Kit includes one Light/Laser module and 6 housings for use with 18+ subcompact handgun models. Features C4 LED illuminator and a 640-660nm red laser. 100 lumens; 2,000 candela; 89m beam distance. Runs 1 hour (LED only or LED/laser combo); 11 hours (laser only). Parabolic reflector produces a balance of beam and peripheral illumination; optimized electronics provide regulated intensity; red laser provides long-range targeting. 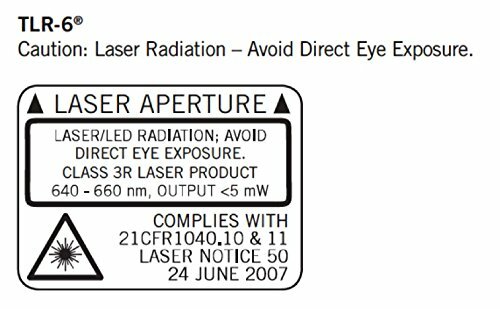 Light/Laser Module designed for forward and backward compatibility. Ambidextrous switching (push-button on both sides) to access three modes: Laser only, Laser/LED combo, LED illumination only. All modes feature a 10 minute auto shut-off to conserve batteries. Batteries can be replaced while light remains mounted on gun; no need to re-sight laser after battery change. Uses two CR1/3N lithium batteries (included). Removable cover for easy attachment/removal. Windage and elevation adjustment screws mounted in brass bushing for dependable zero retention of laser. Contoured housing securely attaches to trigger guard. Durable, impact-resistant polymer construction; IPX4 water-resistant; 1m impact resistance tested. Operating temperatures of -20 to +120 Degree Fahrenheit. Serialized for positive identification. 2.30-Inch (5.84 cm) to 2.97-Inch (7.54 cm) depending on model. 1.12-Pound (32 grams) to 1.27-Ounce (36 grams) with batteries; depending on model. Limited lifetime warranty. Assembled in USA.